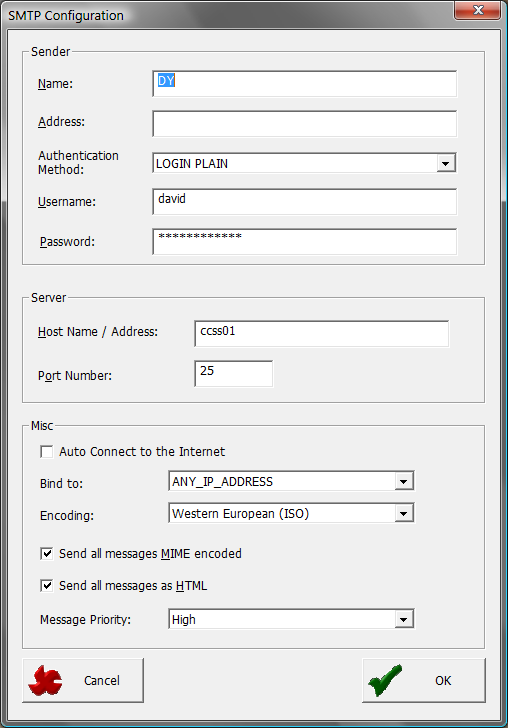 This topic explains how to use QRemote Control to configure your email server for SMTP. After ensuring that the Email Server Enabled option is selected, choose the relevant option for your configuration. 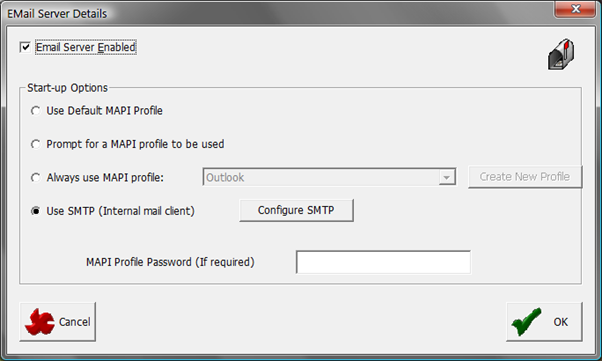 If you run Outlook or Lotus Notes locally and you want the email messages to be sent via the application that resides on that PC, then you can use the MAPI options. If you want the email messages to be sent directly via the server, using either a standard network user or a specifically created user (for example, QRC, to ensure that the receiver of an email from QRC knows that this is a support issue), then use the Configure SMTP option. The following parameters are used to create an SMTP configuration. Name: Enter the name to appear in the From field on emails sent by the server. Address: Enter the email address for the name; this will be used if the recipient of the email uses the Reply option in his email program. Authentication Method: If the email server requires you to log in before it will accept email, specify the way in which the client should supply its credentials to the server. The methods supported are CRAM MD5, AUTH LOGIN, and plain text. Most email servers accept email from the internal network without needing authentication; check with your network administrator, if required. If an authentication method is selected, then you will also need to supply the user and password values. Server: Enter the name or address of the email server used to send outgoing email. The port number will generally be 25, but may need to be changed in some installations if this has been changed by the network administrator. 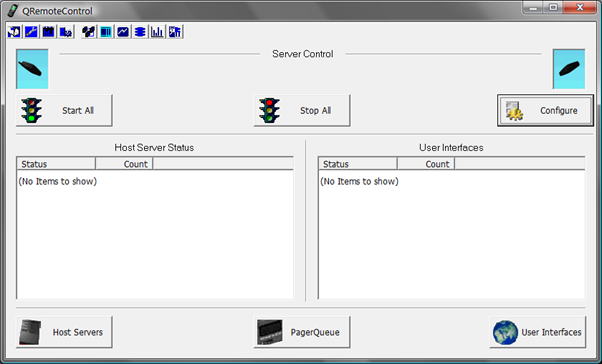 Auto connect to Internet: If the PC is on a dial-up connection, select this option to ask QRemote Control to make a connection to the Internet before sending email and then disconnect again afterward. Bind To: If the PC has more than one network interface installed, use this field to select which one will be used for outgoing email. This is useful when the PC is connected to more than one network and email must be sent to the same network as the email server. Encoding: Select the character set to be used for outgoing emails. Send all messages MIME encoded: Select this to use MIME encoding, rather than the default of Base64. Send all messages as HTML: Select this to format all outgoing emails as HTML documents. Message Priority: Select this to specify the required priority: None defined, Low, Medium, or High.